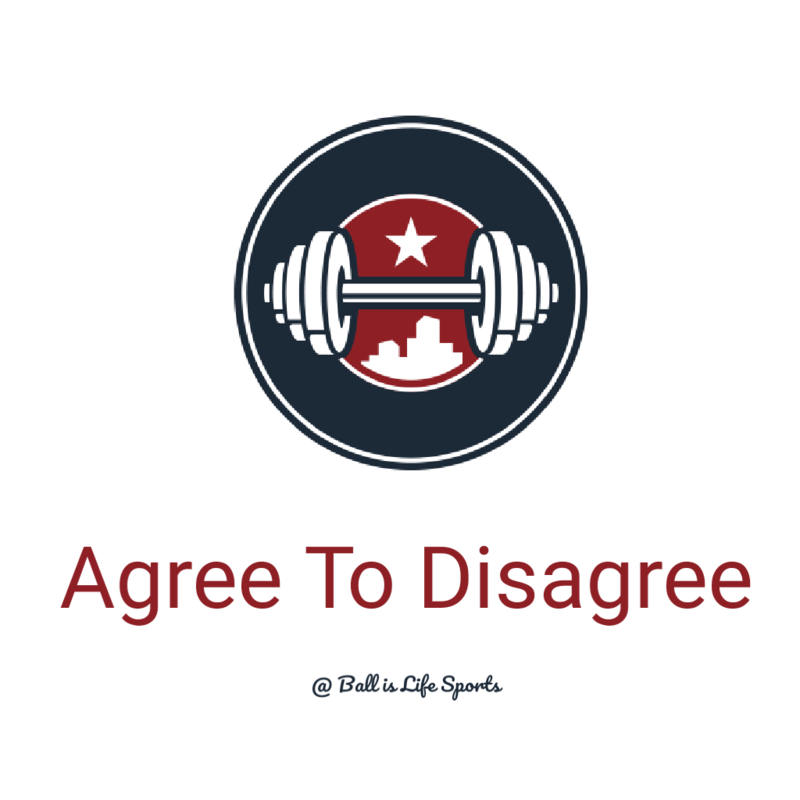 The draft is now just a few days away, suspense is building and Agree to Disagree is back with Positional Rankings, next up is the Linebackers. Top end athlete, a true "sideline to sideline player" with fantastic instincts that when paired with his elite movement skill allows him to frequently be around to ball making plays. Probably going to be a little small at the next level and could have problems when unable to be ahead of blockers. More than likely Smith will end up being a borderline pro-bowl player the minute he walks on the field. It was very difficult placing Edwards on this list. He is one of the biggest, fastest, most flexible athletic players I've ever scouted. Edwards is disruptive in all phases, and has shown the ability to be an effective rusher as well. It will be a process however, as Edwards appears to rely entirely on his athletic ability and has very inconsistent technique. With good coaching, after what I'm thinking will be a very up and down rookie season, if He commits to refining his game, Edwards could be one of the premiere players on the defensive side of the ball league hide. Jefferson is a frustrating case as he is prototypical in terms in size, speed, strength etc. but after watching the tape he seems to play very inconsistently when asked to anything besides line up and play. Last season the coaching staff simplified things for him, and he nearly doubled his tackle total as a result. The good news is that there are teams such as the Dallas Cowboys that usually run a scheme similar in the sense that he would be able to play on instincts, Situation will make a huge difference in terms of post draft outlook for Jefferson. Smith is the consensus #1 LB in what is shaping up to be a good draft for the position. He has elite athleticism and intangibles. He's involved in just about every single play. At 236, he's not the biggest LB, and can be swallowed by big lineman if they get a hand on him, but he's a good tackler, great in coverage, and has lightning reflexes and instincts. As great as he is, he has yet to tap into his full potential. He'll undoubtedly go top 15, likely top 10. Like Smith, Edmunds has a lot of potential and great athleticism, but he's about 4 inches taller and 15 pounds heavier. The reason Smith is higher is because Edmunds doesn't have the elite instincts that Smith has. He can be a tad late to the party. An NFL coach should fix that and make him a yearly Pro Bowler. Now this is a name that has been getting lots of buzz lately. Only started at Boise State for one year, but he certainly opened eyes during that year. Leighton has surprisingly good instincts. He's a guy who will never need to come off the field, he's very good against both the pass and the run. And now for the last of the projected 1st round picks, we have the ultra athletic Rashaan Evans. He is a sideline to sideline LB with a nose for the football. Plus instincts, speed, and solid blitzing skills carry him where he needs to go, but don't let his 232 pound body bother you, he's an explosive fundamental tackler. Tackles the way your supposed to tackle while still putting some sting on 'em. After the 1st 4 guys go, it's really any man's guess as to who goes next. It depends on what type of linebacker you want. If you want a guy who will mentally and physically make a running backs life hell, Kiser is your guy. He has some of the best pursuit skills I've seen in awhile. Whatever hole the running back is supposed to be in, you'll find Kiser running through it. If that lane is filled, he'll find the cutback lane and ruin the backs day with a bang. Kiser has a lot of work to do in pass coverage, and isn't the most athletic, but he'll shut the run down with the best of them.